It’s one of the most notorious music copyright infringement lawsuits in history – and it’s going to stay that way. The US Court of Appeals for the Ninth Circuit has today (March 21) upheld a 2015 verdict which concludes that Robin Thicke and Pharrell Williams’ 2013 hit Blurred Lines infringed on the copyright attributed to Marvin Gaye’s 1977 song Got To Give It Up. The appeals court panel handed down a split decision which actually disagreed with comments from one of the case’s judges, who stated that the two tracks “differed in melody, harmony, and rhythm”. She added that the ruling “strikes a devastating blow to future musicians and composers everywhere”. The Ninth Circuit panel voted 2-1 to retain the most recent verdict against Thicke and Williams, which sees them liable for $5.3m in damages. Those damages, paid to the Gaye Estate, break down like this: $3,188,528 in actual damages, plus profits of $1,768,192 against Thicke and $357,631 against Williams (and More Water from Nazareth Publishing, which collects royalties on Williams’ behalf). In addition, the Gayes will receive a running royalty of 50% of future songwriter and publishing revenues from Blurred Lines. The appeals court did, however, clear Clifford “TI” Harris and Interscope Records of any infringement. “We have decided this case on narrow grounds,” U.S. Circuit Judge Milan D. Smith wrote, as you can read in the full ruling through here. 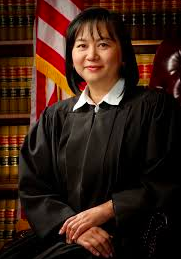 Nguyen further added: “Admittedly, it can be very challenging for judges untrained in music to parse two pieces of sheet music for extrinsic similarity. But however difficult this exercise, we cannot simply defer to the conclusions of experts about the ultimate finding of substantial similarity. Thicke, Williams, and Harris co-own the musical composition copyright in Blurred Lines. Star Trak and Interscope Records co-own the sound recording of the track, while Universal Music Distribution manufactured and distributed it.